Top 10 Home Remedies for Athlete's Foot | How Get Rid of Athlete's Foot? 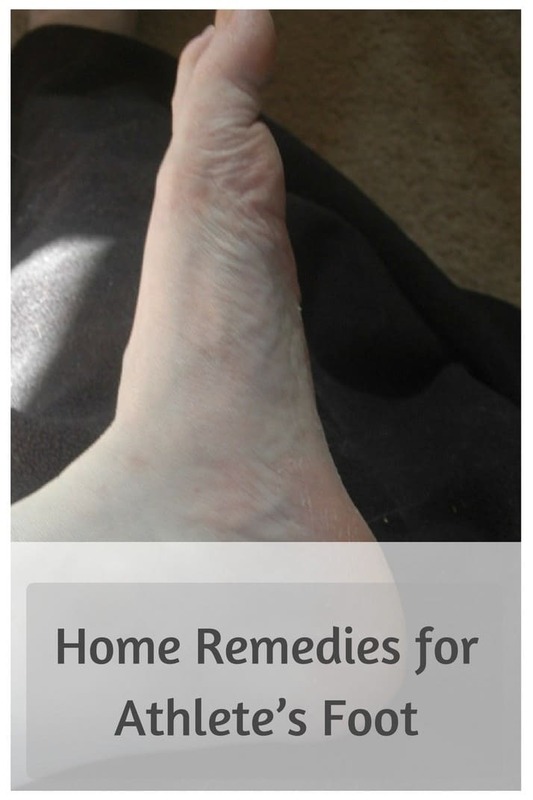 Home Remedies for Athlete’s Foot | How Get Rid of Athlete’s Foot? Home Remedies for Athlete’s Foot – Athlete’s foot, or also known as the tinea pedis is an infection of the foot that causes itching, redness, peeling or cracking of the skin, and irritation. The infection occurs when the fungus named tinea comes in contact with the skin. This fungus is often acquired by contaminated skin or floor surfaces and thrives in warm and moist environments – exactly like it is in and around swimming pools, common shower areas, locker rooms, gym areas and so on. Generally, the infection begins with the sole and is most likely to spread to the other parts of the feet or even your body such as toenails, finger nails and hands if you leave it untreated. Athelete’s foot may be contagious but it is not very impairing. However if a pre-existing diabetic or weak immune system condition already inhabits the body, then it may take a serious turn. Although athlete’s foot takes a while to cure, getting rid of it is not completely impossible, as long as you are diligent with its treatment. Let’s take a look at some quick and easy home remedies that help in getting rid of athlete’s foot. Athlete’s foot often occurs on skin that holds in too much of moisture. Corn flour is known to have starch which absorbs moisture quite effectively, thus helping to get rid of athlete’s foot. Take about a cup of cornstarch and put it in a preheated oven at 375 F, or on a stove top on low flame and heat the it up until it turns slightly brown. Make sure not to overdo the heating as you can burn the flour. Now, allow it to cool and rub it onto your feet and in between the toes. Let it stay for 10-15 minutes or until it dries. Brush off all the cornstarch. It may leave a thin layer of residue, allow that layer to remain as it is. Do not wash.
Oregano leaves are rich in iron, fiber, manganese, calcium, vitamin E, omega fatty acids and typtophan which can keep the skin fungus free. Use the following method to get rid of athlete’s foot with the help of oregano leaf concoction. Add about 2 cups of oregano leaves and one litre of water in a pan and boil till the water reduces to half and is tinted in brownish-green. Then in a bucket or a tub, add about 1 liter of water and pour in all of this hot concoction. Make sure the water in the tub is warm enough. Now soak your feet in it for at least 15-20 minutes. Wipe your feet with a clean towel afterwards. Repeat this daily until you are satisfied with the results. Must read: How to Get Rid Of Scars on Legs? Neem oil is extremely effective in eradicating any bacteria or fungus, all thanks to its antifungal and antibacterial properties. All you have to do is to apply some neem oil onto the affected areas and let it stay overnight to get rid of athlete’s foot and associated symptoms. Ginger is immensely popular for its anti fungal properties. Not only is it effective in treating athlete’s foot, but also gives a slightly spicy, refreshing scent. Simply grate a 2- inch long piece of ginger and put it in a pot of about 2 litres of boiling water. Boil this water for 2-3 minutes and then let cool down to lukewarm temperature. Then, soak your feet in it for 15-20 minutes before you wipe off with a clean towel. Baking soda is known to eradicate any moisture as well as odor wherever applied. Take a tablespoon of baking soda, rub it well around your feet and let it stay for 5-8 minutes. Then, brush it off your feet once it is dry and let your feet remain uncovered or unwashed for a minute. Also, you can now wear your shoes and socks without trapping too much of moisture in your feet. Himalayan salt and Apple cider vinegar are both antiseptic and anti fungal, thus are effective in killing bacteria and eliminating foul odors associated with athlete’s foot. In a tub or bucket of warm water, add in 2 tablespoons of Himalayan rock salt and about half a cup of Apple cider vinegar. This mix tends to create a highly acidic medium, making it very difficult for any kind of organism to thrive in. Simply soak your feet in this mix for about half an hour, then wipe clean with a towel. You may use this remedy on a daily basis. Must read: How To Get Rid Of Hives Symptoms? Tea tree oil has anti microbial properties that help the host get rid of athlete’s foot by reducing redness, irritation and itching. It also prevents the further deposit of micro organisms on the affected area. Take a few drops of tea tree oil in your hands and rub this oil all over the affected area. Let it stay overnight. Hydrogen peroxide may be highly effective in eliminating fungus from your feet due to its anti fungal properties. But it is important to know that it may sting, even in diluted portions, especially if the skin is cracked. So if the skin is cracked or damaged, avoid using this remedy. It is also important to check the concentration of hydrogen peroxide. 3% hydrogen peroxide is ideal for use in this case and is also easy to obtain. Higher concentrations may harm the skin and cause severe stinging sensations. To treat Athlete’s foot with Hydrogen peroxide, mix 1 pint of 3% Hydrogen peroxide with 1 gallon of water and store it in a spray bottle. Spray generously on your foot or affected areas twice a day and let it air dry. This will not only reduce the symptoms, but also make the feet temporarily resistant to other infections. Epsom salts have amazing healing powers, while also generating a dead environment for almost any type of fungus to thrive in, thus resulting in their depletion. Take about 2 tablespoons of Epsom salt and add it to a gallon of Luke warm water. Soak your feet in this water for 30 – 40 minutes. As unusual as it may sound, a hair dryer can actually help with Athelte’s foot. After you are through with your daily clean and dry routine for your feet, you can use the hair dryer to blow away any remaining moisture, especially in between your toes. Make sure not to overdo it though, as too much heat can trigger sweating and forfeit the entire purpose of the remedy. Hygiene is paramount. Keep your feet clean, and do so often. You may sprinkle some baking soda or corn flour in your shoes if they get too sweaty. Sun dry your shoes as regularly as possible. Always use a freshly washed towel as the fungus is contagious. You do not want to reiterate the infection in you or pass it on to someone. Wash your clothes and towel separately, in really hot and soapy water to get rid of the fungus from the laundry. Also read: How to Get Rid of a Hickey Fast? Do let us know how effective these remedies were in helping you to get rid of the athlete’s foot. Do leave us a comment or two on how you liked this article. How to Get Rid of Hiccups? - How to Stop Hiccups Fast with Home Remedies?